Sugar beet producers should be hitting area fields this week for the start of the annual harvest season, and 2018 looks to be profitable for producers. Yields are hard to project early on, but Bergen-Henengouwen is anticipating a good showing once the numbers are collated. Overland flooding issues stymied an early start for the irrigation districts. “Probably the biggest challenge was just getting enough water on. It was definitely a little bit of a later start, with the irrigation districts being a little bit later with the water turn on, and the flooding challenges that happened early on,” said Bergen-Henengouwen. Acres planted haven’t seen much fluctuation in southern Alberta in recent years. Losses due to hail and other factors were largely a non-issue for producers in 2018. “There wasn’t acres lost, but there was definitely acres that were impacted, but it’s pretty minimal compared to other years,” said Bergen-Henengouwen. 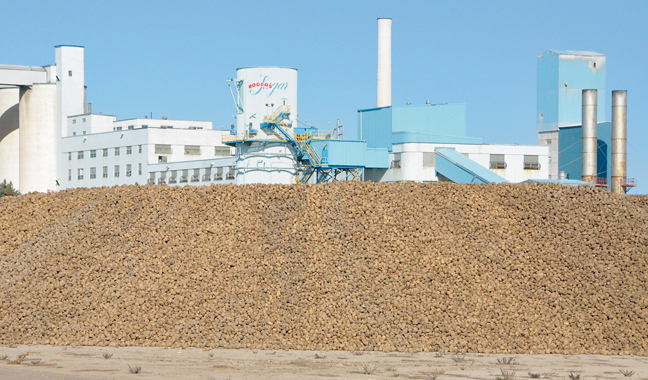 Expensive environmental improvements required for Taber’s Lantic Sugar, Inc. plant led producers to accept a recent contract which factored in those impacts to the refinery’s bottom line. Producers are expected to be hitting the fields as early as tomorrow, with a projected plant start-up date one week later.